I've been looking thru all of the engines that I use, and came across the rhino engine. I know it could be used as a first stage engine, but I has its highest efficiency in a vacuum, and not at sea lvl. what kind of upper stage craft would need that kind of power? Really, Really big ones apparently. wiser words have never been spoken . . .
And if you are taking it to space anyway, why not install proper guidance & RCS and use it as a transfer vehicle? I can honestly say I have never used them, not once. The permanent 3.75m tankbutt kills it for me. ReStock for the win then! I got into Rhino fever back in 1.0.5. 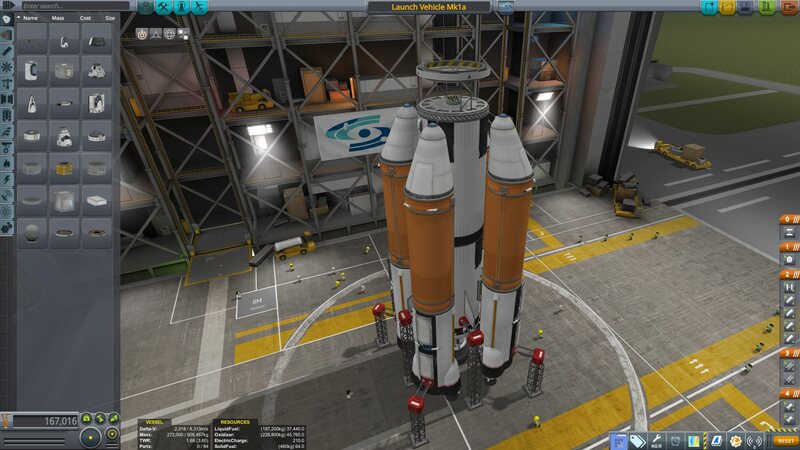 The Rhino made a lot of sense for large transfer and insertion stages, like Eve landers and Jool missions. Even used it in tandem with nukes for some asteroid missions for those maneuvers where a fast kick was needed, vs. a slow nuke burn. Rhino is great for massive stages. Can't count how many behemoths I put into orbit using the Rhino. It isn't practical for anything small but the bigger you go, the nicer it works. Two ways to send a gigantic mine/base off to Jool. Ten minute burn with nuke cluster from a 200km orbit, or 90 second burn with a rhino from a 75km orbit. Both valid. Similar cost. 90 seconds is an acceptable length for an efficient single ejection burn, but if you take 10 whole minutes from a 200km parking orbit, you are wasting quite a bit of dV. It's much better to go to a 70 km circular orbit and do multiple shorter kicks at its PE, until you are nearly on an escape trajectory, before doing the final burn. I guess if you're going straight to Jool that might still take a while, but I never actually do that because it takes too much dV that way. Definitely true. The 200km orbit is a side effect of an ascent profile capable of achieving reliable orbit in a behemoth with an insertion/transfer stage TWR below 0.1. You know it, baby! I'm blown away by how good it is. Packing 1 Rhino, 4 poodles, large ISRU with 4 drills and extendable radiators, 2 large fuel cell arrays so the processor can run non stop.... 220 tons 1.72 TWR, 4524 m/s dV. 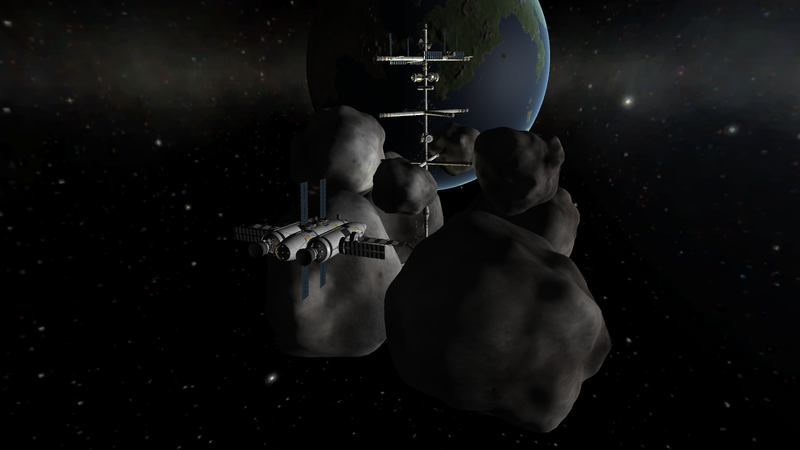 It can land on Tylo, mine and return to orbit. Probably unsuitable for multiple landings on Tylo, but it could refill easily on the smaller moons. I had about 1/4 fuel left. The nice thing about stuctural pylons is that they can be fired one at a time by right click menu. 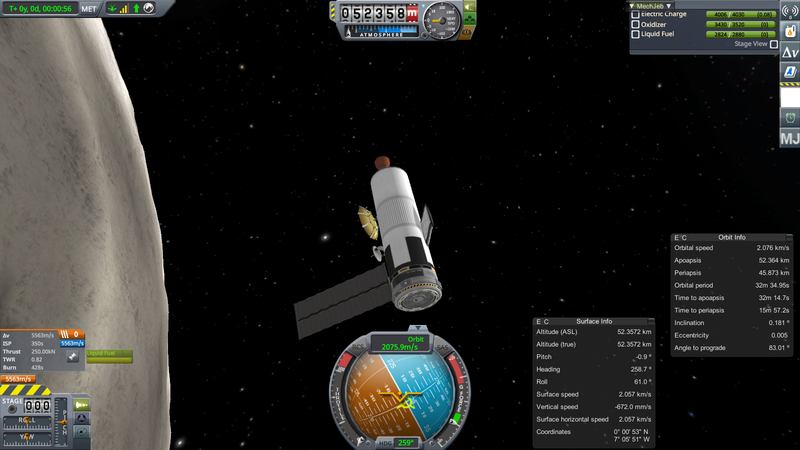 I used a Rhino engine as my main transfer stage for a Moho land and return mission. 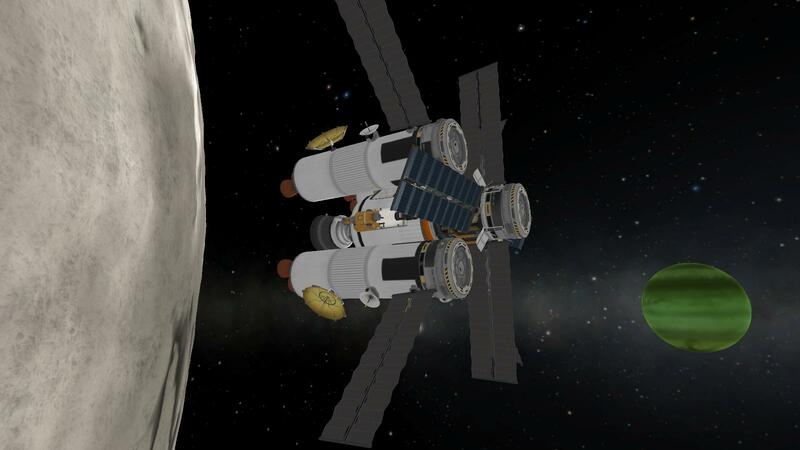 When you need both lots of dV and high thrust, as Moho orbital insertion demands, it's a great choice on big stages. I've never used one. I always use engine plate + multiple vectors instead. Two vectors provide the same vacuum thrust / much better sea level thrust at 8.075 tons vs. 9 for the Rhino. The better ISP of the Rhino probably wins out for super-heavy ships, but for one of those I'll likely have 3-9 vectors. You don't have that flexibility to choose the thrust you want with the single Rhino. I use them for the 2nd stage of my large segments (eg. 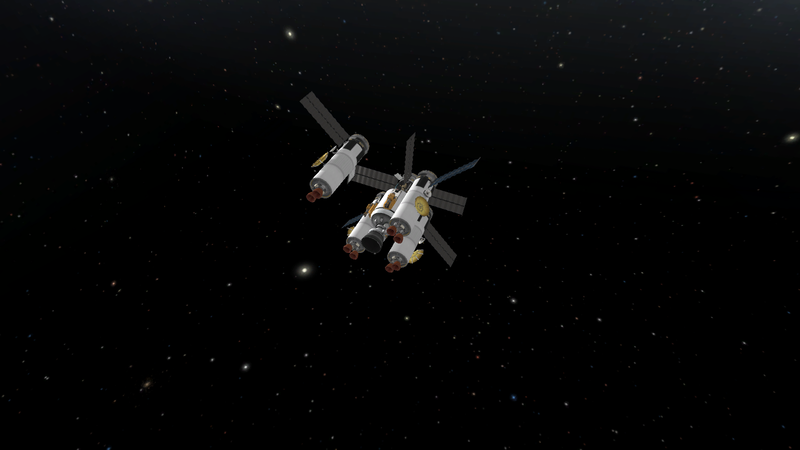 Duna assent module or HUGE xenon propulsion modules.) It gives a good kick to orbit. It's passable as a sustainer or even core stage for really, really big rockets, but I feel like you kind of have to build around the Rhino concept to make this worthwhile. I've used it on some stupidly large mining rigs. You can save a lot of part count vs. using a ton of nukes, and the delta-v loss doesn't matter much on low-gravity bodies. However, the Wolfhound probably eats into this use-case now. It's also decent for redirecting large asteroids. An older twin-Rhino tug I used for moving asteroids during station construction. I LOVE the Rhino as a transfer stage. 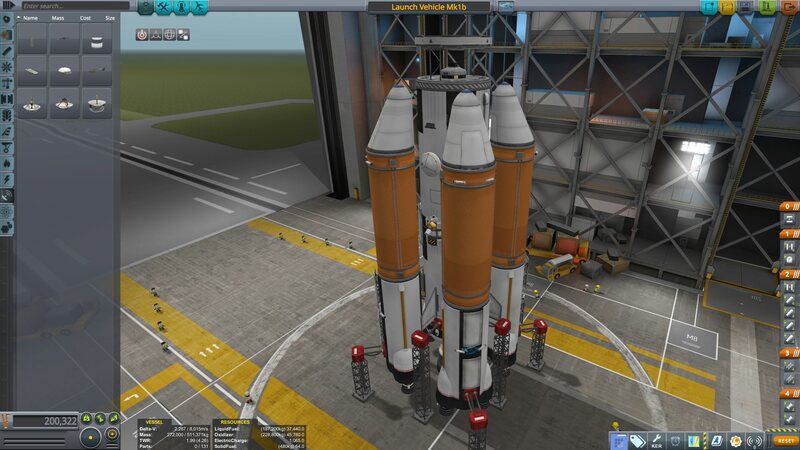 Part of my gameplay is to build the most efficient rockets possible, but looks are an important consideration. I like using the thing as a transfer stage to the Mun with a 3-Kerb orbiter/lander stack, it just looks so cool when it separates and burns. I can't show a pic; I'm doing a new career and haven't reached that stage yet, but I do use it a lot, and quite enjoy it. I used it as a lifting engine for an intermediate class booster, in tandem with 6-8 Kickbacks. A lot cheaper than Mammoth, bigger payload than Twin Boar + Kickbacks. Also used it a few times for sustainer on really big builds, but I can usually downscale to a lighter or cheaper engine. This was before MH, so there might be better alternatives now.